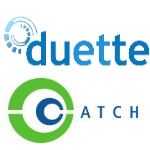 Duette requires current licenses for both Duette and Enterprise Tester to create new automated tests, automated test assignments or import new runs. Import new results into the same execution set script. All results are recorded and a run history is available for each imported set of results. Choose to manually import your results either by uploading results or setting an automated import schedule. If your Duette license expires, you will still be able to view, move, and rename previously imported automated tests. Supports all automated tools that have output formats of jUnit and nUnit, XUnit.